Credit and retail company USA Discounters has been ordered to provide a refund to servicemembers it allegedly tricked, for an SCRA fraud scheme, into paying fees for benefits already available to them under the Servicemembers Civil Relief Act. The Consumer Finance Protection Bureau announced Aug. 14 that it put an end to a servicemember fee scam run by USA Discounters, Ltd. The company operates a chain of retail and lending stores targeting servicemembers, and has been accused of predatory practices that take advantage of a loophole in the SCRA. Since 2009, USA Discounters charged a fee of $5 in more than 70,000 contracts with servicemembers for a company called SCRA Specialists LLC to represent their rights under the SCRA, according to the CFPB. USA Discounters told its customers that SCRA Specialists was an independent representative, and that it would help them by receiving notices of lawsuits filed against them by USA Discounters, provide a military status affidavit when necessary and notify USA Discounters of changes in the servicemember’s address. Marketing its legal obligation as a service: The key problem with this business practice is that many of these “services” were actually the legal responsibility of USA Discounters in the event that it wanted to sue a servicemember. 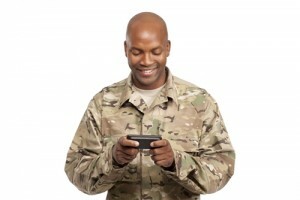 Locating the servicemember, performing a military service verification and informing the defendant are all the obligation of the creditor in this case. Misleading servicemembers about their representative’s independence: While on paper USA Discounters and SCRA Specialists are two separate companies, the CFPB determined that the latter company’s sole source of revenue consisted of the customers of the former. Considering this and the fact that the services performed by SCRA Specialists primarily benefited USA Discounters, the separation between the two appears dubious at best. Failing to provide services: The CFPB also determined that in many cases the services promised to USA Discounters’ active military status borrowers were never actually performed. Stop charging for SCRA protections – USA Discounters can no longer charge a fee for SCRA-related services, nor can it market contracts as a benefit to servicemembers. It also is barred from pretending that SCRA Specialists is independent of it. Provide $350,000 in refunds – The company must refund all of the customers who paid the $5 fee, either by discharging $5 plus interest from their debt or by mailing a check for $5 plus interest. Pay a civil penalty – USA Discounters also has to pay a $50,000 penalty to the CFPB’s Civil Penalty Fund. Most members of the public believe that it is important that the SCRA be enforced. Some, including Consumerist, have called the fines a “slap on the wrist.” It is possible that public interest in the matter will spur further action against USA Discounters. This fine, and the potential for further fines and penalties, serves to highlight the importance of obeying the letter and spirit of the SCRA. The Servicemembers Civil Relief Act Centralized Verification Service can help companies accomplish this with easy military service verification.